and vibration acceleration level, as well as the time percentile level, time averaged level, maximum and minimum values in three axes simultaneously. 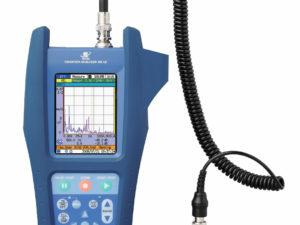 Additional capability includes waveform recording and 1/3 octave band analysis. The VX-55EX program adds auto-store functionality to the meter, allowing measurements to be stored automatically after a measurement of specific duration. This program also enables a comparator output and continuous data output function via USB or RS-232 control interface for users with custom applications. This program is required for installation of other programs. 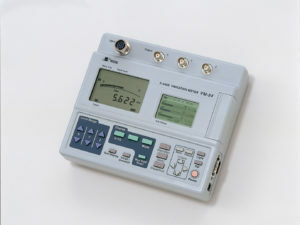 AS-60 software allows users to graphically display data, perform calculation processing and exclude sounds, create reports, output files and play real sounds. 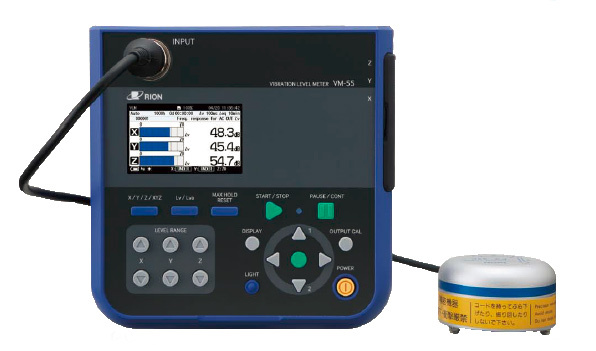 The AS-60 software works with Rion sound and vibration level measurement instruments and supports 1/1 and 1/3 Octave band and vibration level analysis.